Live the Life of Location with Fratello Properties in these well maintained, studio apartments! Located on Andrew Place and North Street, located 1 block from the Purdue Student Union. Walk to class in just minutes, or take the tunnels. Conveniently located near University Bookstore, 1 block from Rawls Hall- part of the Krannert School of Management, walking distance to nightlife and restaurants, close to downtown Lafayette and 1 block from the bus line. Each studio is 480 square feet, with large bathroom and a patio. Secure property, keycard entry. 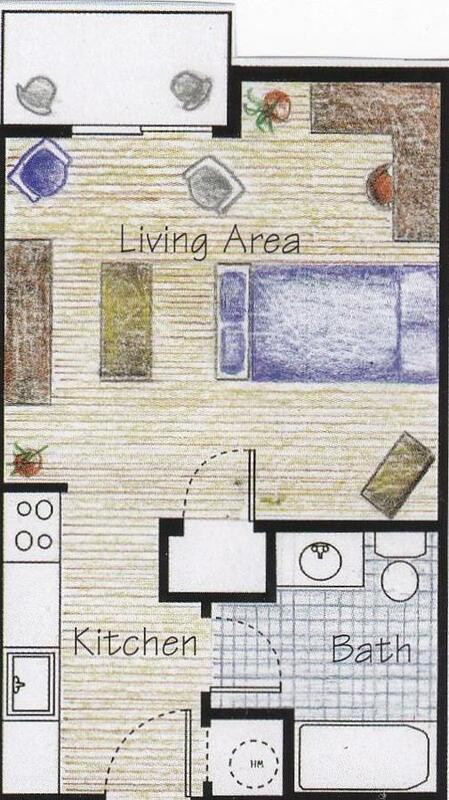 Full Kitchen Includes: Refrigerator, stove, garbage disposal, built in microwave, and dishwasher. Amenities: FREE fiber optic internet, FREE water, FREE trash, parking in our private lot, Washer/Dryer on 2nd and 3rd floor, Fitness room, Ceramic tile in kitchen and spacious bathroom, Cable and internet access, Bike storage in back (covered), Phone system entry for guests, 24 Hour maintenance line, Maintenance on site, Property management on site. Andrew Place Commons is located near the Downtown Lafayette neighborhood just 0.56 miles from the center of West Lafayette and 0.32 miles from Purdue University-Main Campus. The property has a Walkscore of 86, so you should be able to walk or ride a bike most of the time. Andrew Place Commons has many shops nearby. Coffee shops in the area include Panera Bread, Starbucks, Greyhouse Coffee & Supply Co.. There are a number of markets in the area include Walmart Supercenter, Pay Less Super Market, Dollar General.